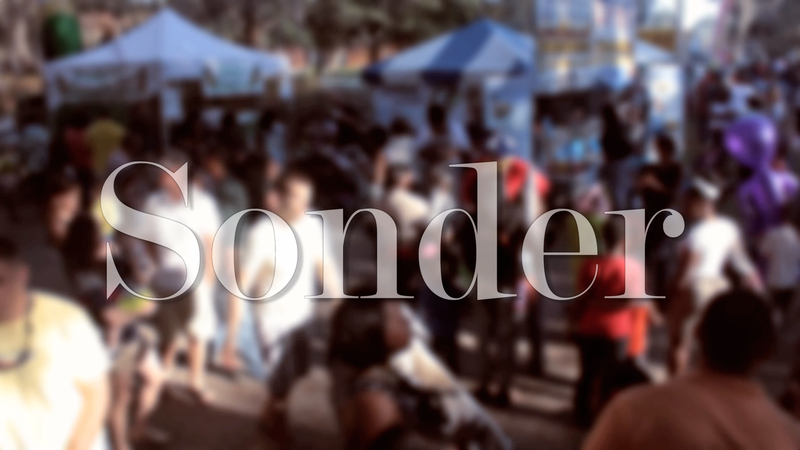 As part of the 2014 Valdosta State University Faculty 48 Hour Film Festival, SONDER is a 4 min experimental short film directed by VSU professor Jason Brown. Incorporating the Spring Azalea Festival in South Georgia, the film was inspired by John Koenig’s definition in his book DICTIONARY OF OBSCURE SORROW as interpreted first by Andrew Jeschke and then by Jason Brown and Rebecca McAleer. As the faculty in the group, Brown directed the film away from a traditional narrative both visually and structurally. The student crew included cinematographer/editor Jeschke, writer/audio editor McAleer, actor/effects editor Chris Speziale, audio recorder James Semmes, and actress/PA McKinley Anderson. Anderson, a high school student, met the VSU folks during the Macon Film Festival and asked to be a part of the filmmaking process. Coming in third place as part of the VSU festival, the film has been accepted to the West Virginia Filmmakers Festival, the Georgia BigPictureCon Film Festival, and the Access Code Film Festival (Bangalore, India).